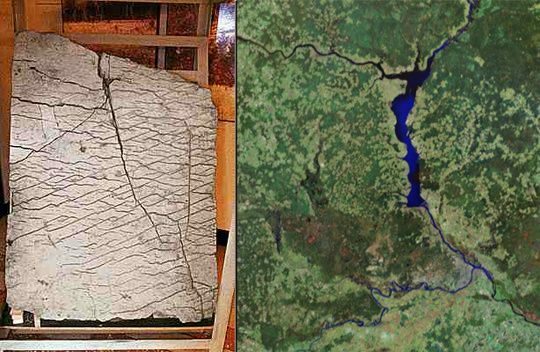 A team of Russian scientists have recently completed testing on the dashka stone also termed the Map of the Creator, and found that the large stone slab is indeed a genuine ancient carved artifact displaying the local area. 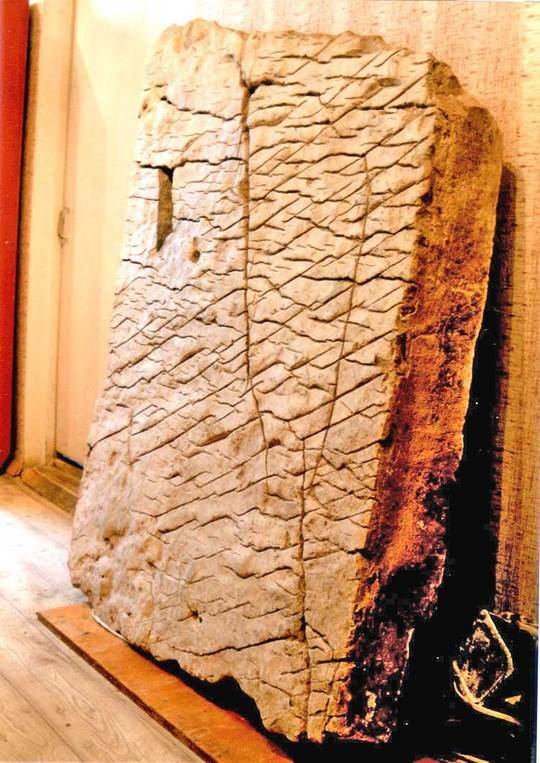 Is the Dashka Stone (also termed the Map of the Creator) real? Does it prove that there was an advanced ancient civilization in the Ural Mountains thousands of years ago? According to a team of scientists from Bashkir State University that is exactly what they have found. Recent research and testing on the large stone slab have proven that it is indeed an ancient map carving of the area that is thousands of years old. The rock has been dated to around 120 million years old. (a pair of ancient shells locked into the slab confirmed this) The slab is 5 feet tall, 3.5 feet wide and 6 inches thick. It weighs approximately a little over one ton. The slab is composed of three layers that most scientists believe would not occur naturally. The three layers are dolomite ceramic, diopside glass and then a thin layer of porcelain. The surface of the slab is covered with a 3-D map of a section of the Ural Mountains. The slab shows no signs of tool usage meaning it was hand-carved but the age cannot be dated on when the carving was done. Details of the slab include: the rivers, mountains, fault lines and other natural topography of the Ural Mountains. Also shown are 12 huge artificial dams, thousands of miles of irrigation canals and various other environmental projects. Each of the environmental projects have symbols next to them that were originally thought to be Chinese but now are thought to be a new form of hieroglyphics that have not been translated. The detail of the map could only have been acquired from the sky or space.